In just a few months, we will release the commercial version of X Cloud, a cloud storage service that truly respects your privacy. X Cloud will be the only cloud that’s yours, and that’s safe from governments, corporations, hackers or any other third party. X Cloud will not only provide a superior cloud storage experience, but it’ll also be incredibly affordable and simple to use. Additionally, it’ll provide 24/7 customized support, because we care about you. You can already start testing X Cloud’s forever-free 10 GB plan (although still in beta), by clicking here. To celebrate the upcoming X Cloud launch, we’ve just released X Cloud’s unique merchandising item, known as X Cloud Vision. This ain’t your usual webcam cover. 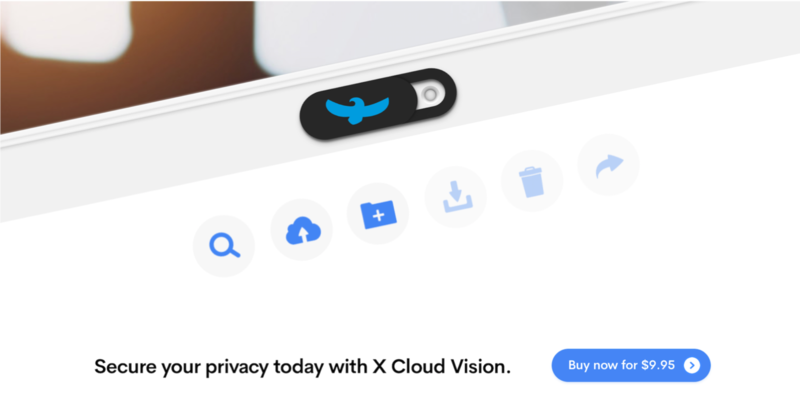 X Cloud Vision deeply represents X Cloud’s values, and we thought it’d be a great item for all our members and even non-members. The item is carefully crafted, packaged and sent to you by our team. It’s incredibly beautiful, thin, useful, simple, and lets you show the world that you’re part of Internxt. Cover your computer or laptop webcam, and uncover it only when you want to. You’ve got the control. Take back your power with X Cloud. X Cloud’s Vision is sold for $9,95 right from our website, worldwide shipping included.